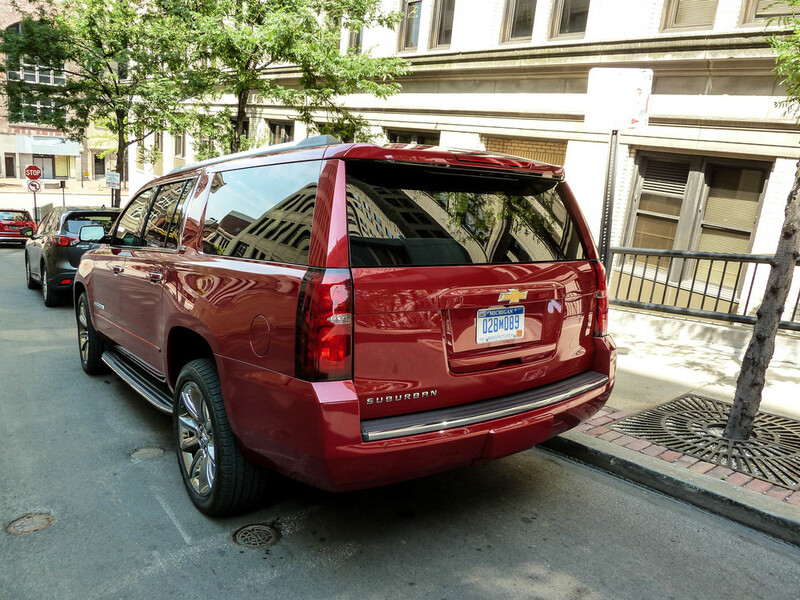 Chevrolet has quite the vehicle on their hands with the 2015 Suburban. This SUV is big in every single way. Big size, big weight, big wheels and big price. Before I go any further, the price has to be noted. This 2015 Chevrolet Suburban LTZ 2WD stickers in at $68,885. Now to say that is expensive is an understatement. Before you get all excited though, we need to look at why this SUV costs that much, and also if the Suburban is worth it. 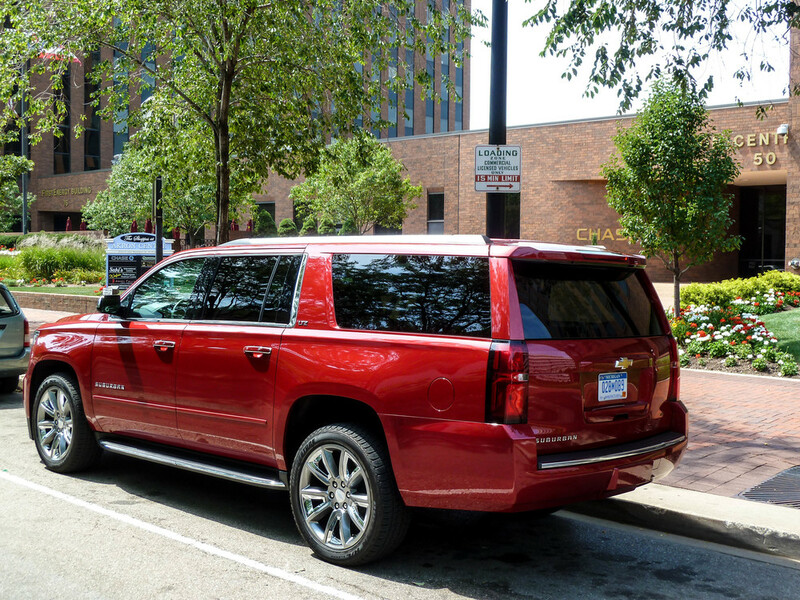 The Suburban has been around since the 1930s and has been used for almost anything. Family hauling, presidential detail, off-road monsters and even school buses - We really have seen the Suburban do it all. Enter 2014 and the twelfth generation of the ultimate American hauler. 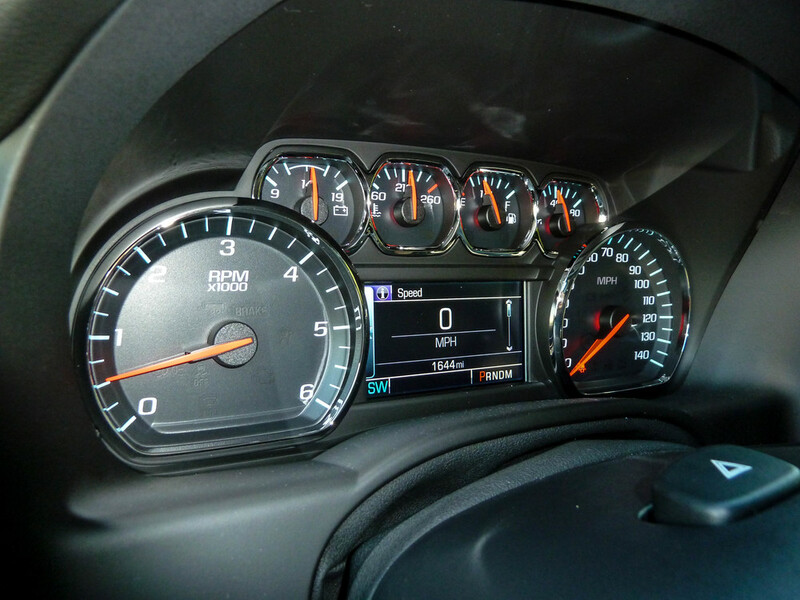 Our tester model is the loaded out, top of the line LTZ version with literally almost every option possible. 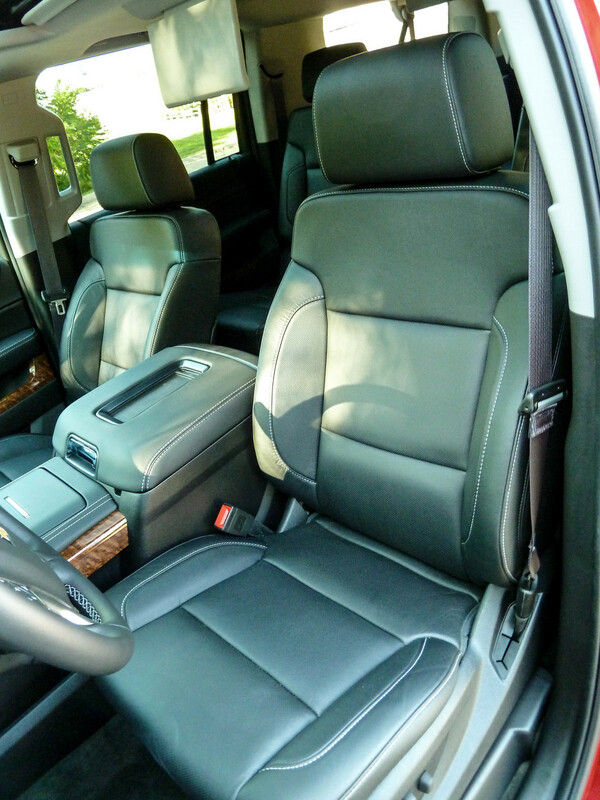 When you sit inside the Suburban, it is very similar to the GMC Sierra we tested awhile back. 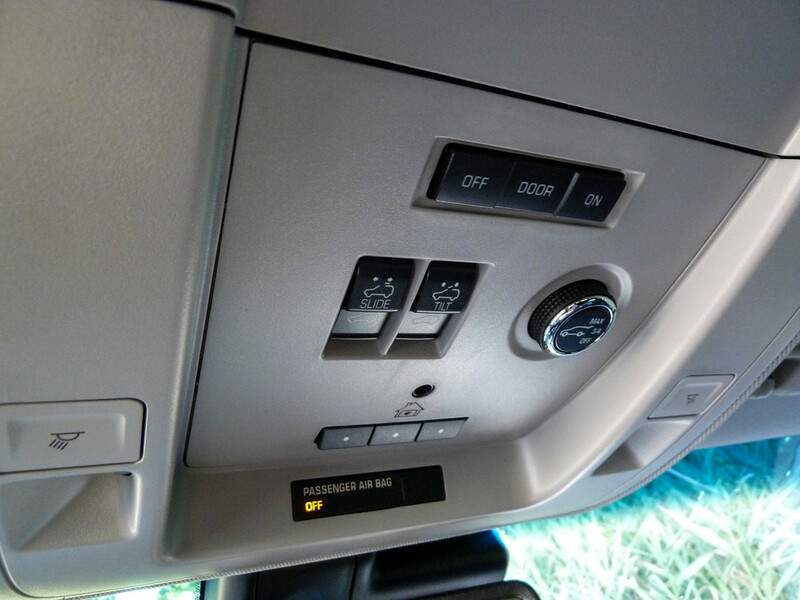 The dash layout is very similar, the seats feel about the same and you have an almost identical set of controls. 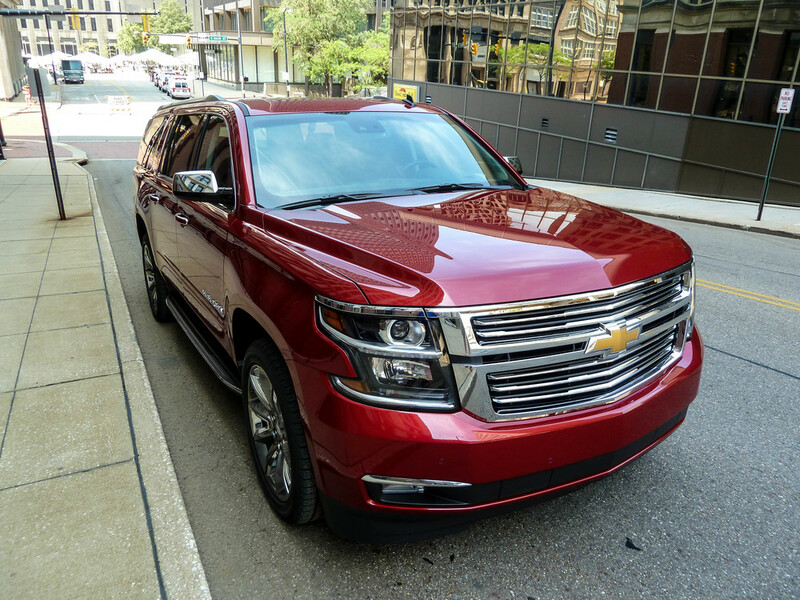 On the exterior end, Chevrolet gave the Suburban it's own unique look which I can summarize in one word - Clean. Everything is sharp and clean with tight body lines and chiseled features. I feel like I'm describing Derek Zoolander here... Either way though, you have a massive SUV that manages to look somewhat masculine and classy all at the same time. 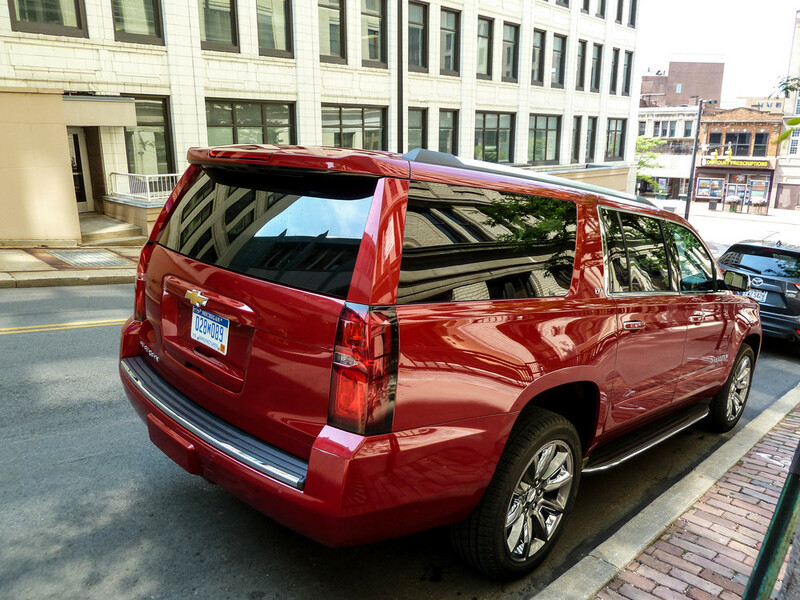 The Suburban and all of the GM full size SUVs have managed to sharpen their looks and almost ruin the previous generation in the styling category. 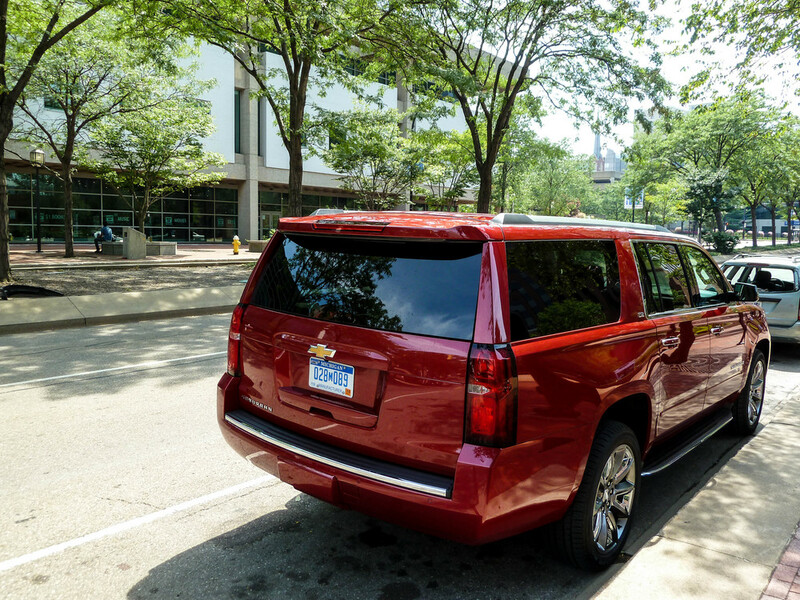 The Suburban is all new. The look has changed to a unique Chevrolet exclusive design, way different than the GMC or Cadillac. As I stated above, it is very chiseled and the front grille design is super clean and classy looking. Having upgraded 22" wheels helps the look as well, not sure if they are worth nearly $900, but it does improve on what is already a solid looking SUV. The back hatch has this new trick wiper that is hidden, and only is visible when in use. 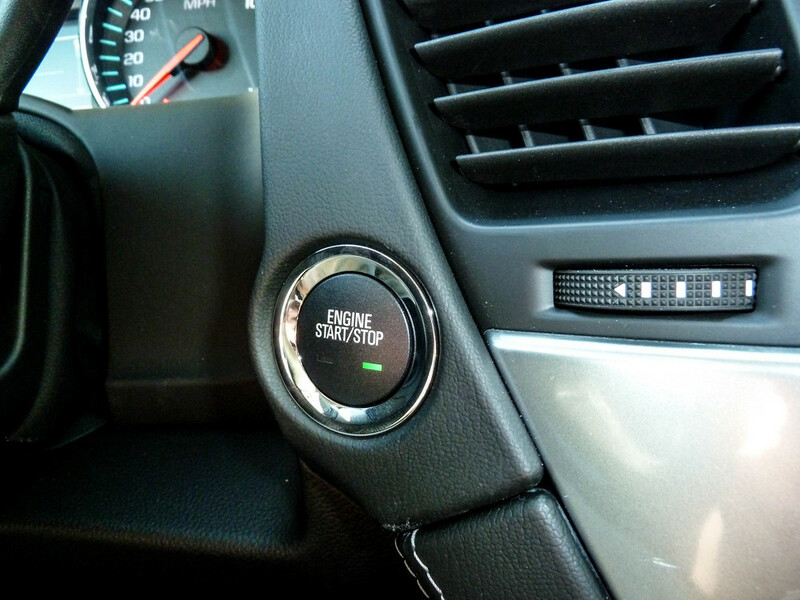 This is a nice feature that spruces up the Suburban and makes it more grownup. The doors close with a solid thunk and the rear hatch being powered is a nice touch as well. Inside, you can actually adjust how high the hatch will power up, basically so you don't hit your garage ceiling one day. I really do like the look and evolution of this vehicle though. 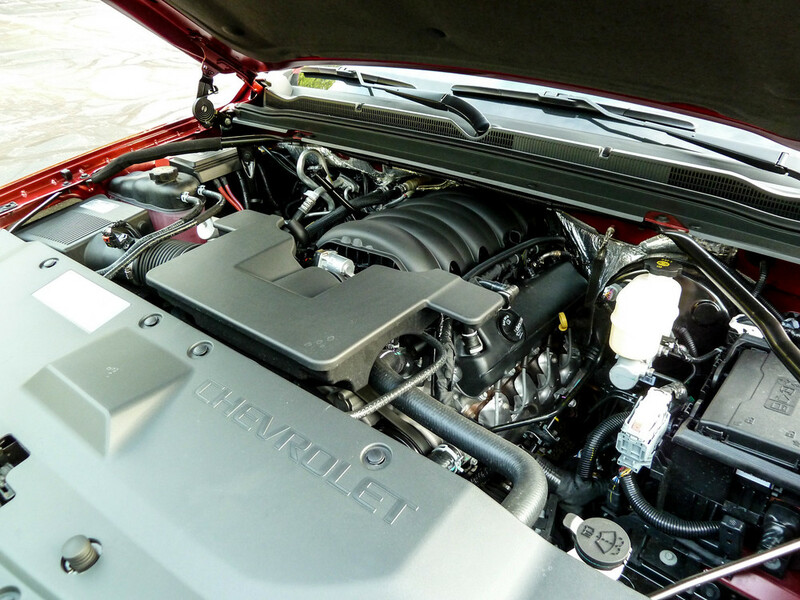 Chevrolet has improved yet again in gap tightness, material quality, and innovation. 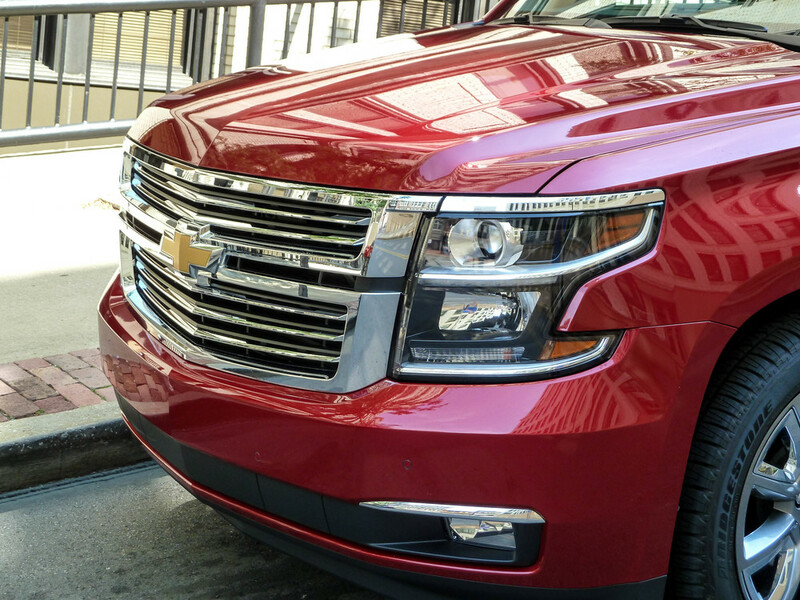 The Tahoe wears the same front end, which isn't a bad thing. Two potential issues you may find though - The front end is amazingly low. Around 8" from ground to lower air dam, which around here would equal a nice snow plow. The second issue, once again were the side steps. Just like on the Sierra, they were in an awkward spot for everybody I asked to try them out. Too close to the door openings and also in the way when you decided to bypass them. I've heard rumors of an off-road Z-71 version coming soon, so maybe these couple issues will be dealt with for that trim line. Like I said previously, the interior is super similar to the Sierra we drove months back. The seating felt identical and the dash layout was the same as well. 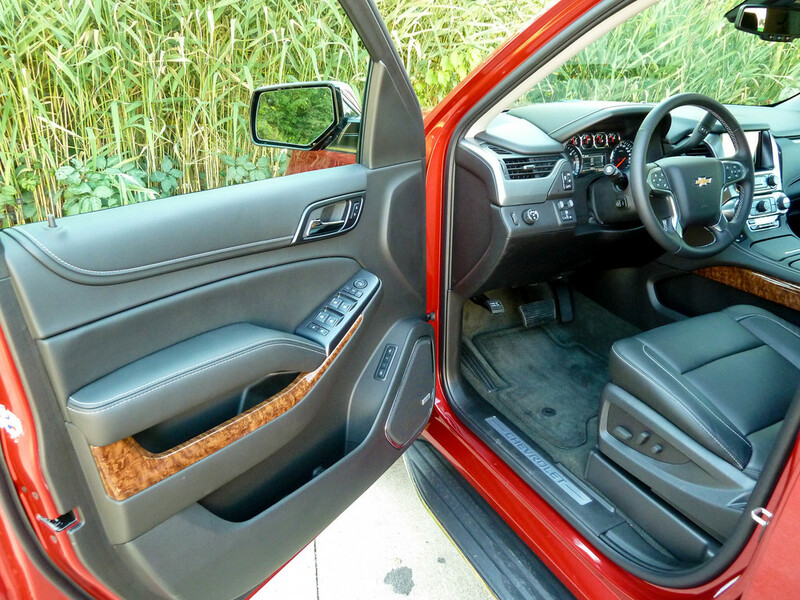 Beyond the driver and passenger seating areas though, everything was new and fresh. During this road test, I couldn't help but want to be chauffeured around in the Suburban and not driving myself. The back seats in row two were captain styled which offered plenty of leg room and comfort. 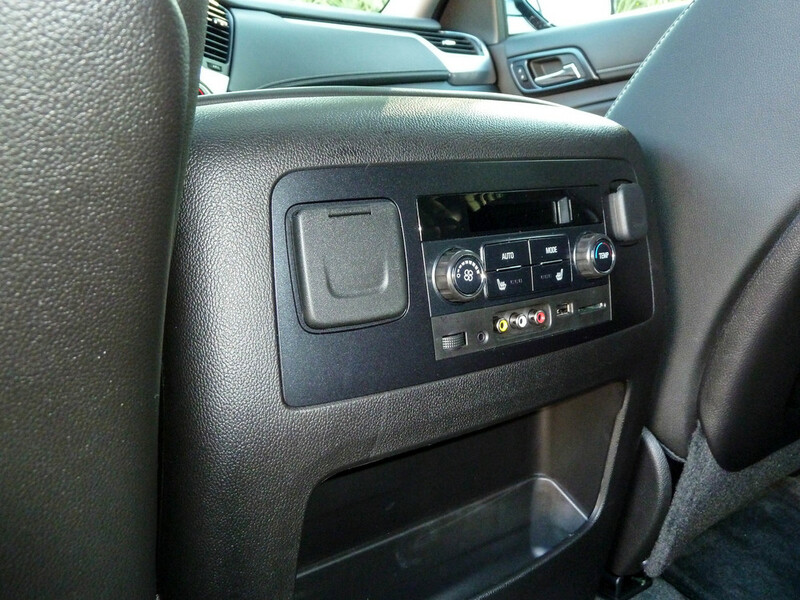 Sitting in the second row you have access to heated reclining seats, your own HVAC controls, ipod hookups, and of course your own cup holders. If necessary, this row of seats can flip forward and also fold flat. The third row of seats offered a bench style that of course wasn't as spacious as the captains chairs. 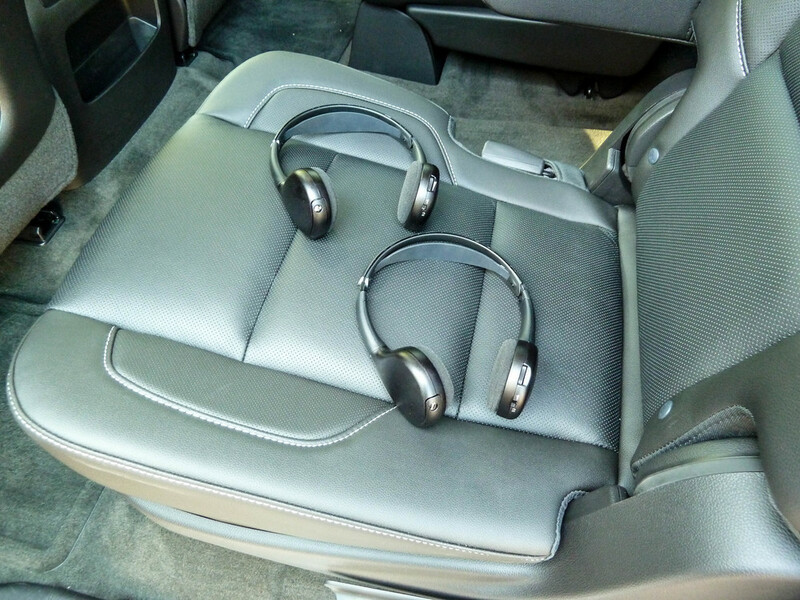 Headrests were adjustable and the leather seating surfaces were nicely done. 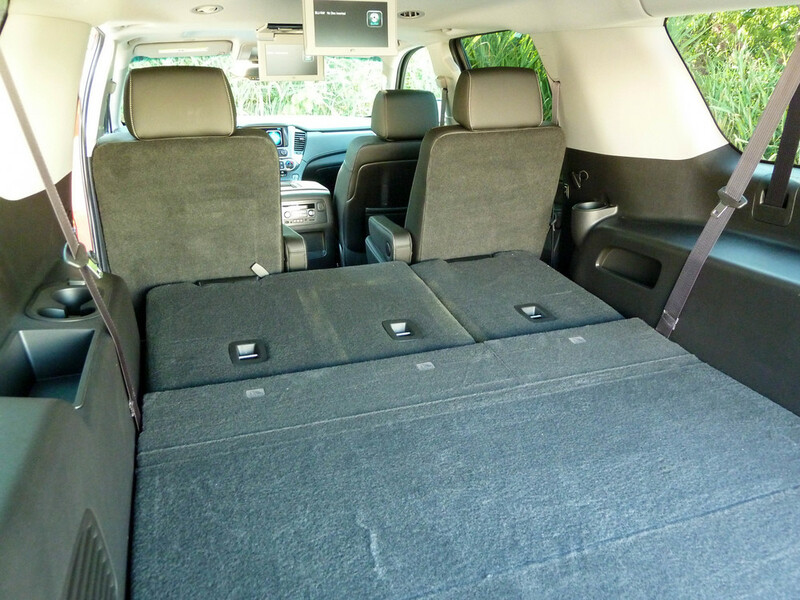 These seats also fold completely flat if necessary, and if you want, all of the seats in row two and three can be flattened with the push of a button in the cargo area. Back in the cargo space, you have a flip up floor that can store small flat items or also manage your bigger stuff with removable dividers. Overall, I can honestly say this interior is very nice and quality was a top priority. To me though, it still has the feeling of a truck with leather if that makes sense. I was surprised to find that the carpet had spots where you could easily flip up and see painted sheet metal. I know most people won't be looking around that closely, but for me when you're paying this much for a vehicle, I don't want it to feel like I'm in an upgraded pickup in certain areas. The truck carryover will be there no matter what, that is understood. 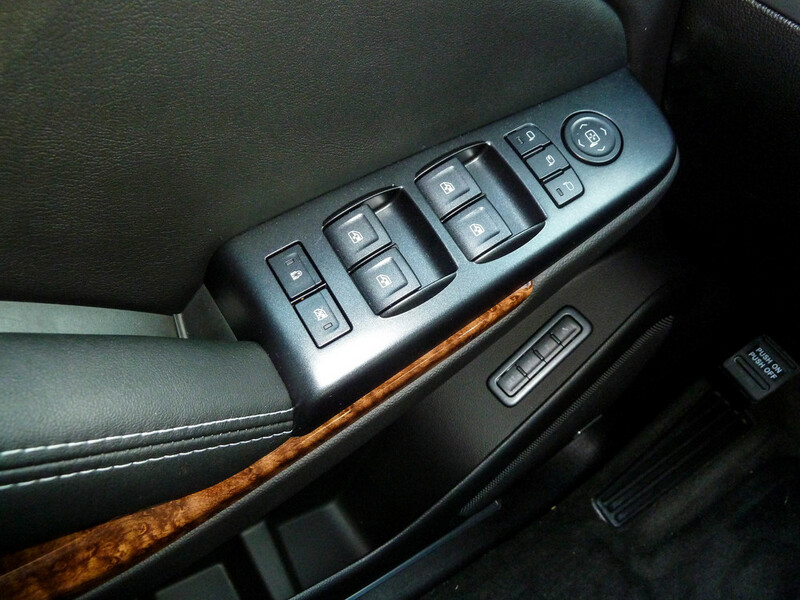 Chevrolet really did a nice job on this interior though; all of the small touches and amenities do not go unnoticed. The Suburban is an interesting thing to summarize. For myself personally, it really is too big. I don't need seating for seven and cargo room for moving half my house. There are people out there though, that need enough space to haul the whole family each day. When driving this around, I spoke to die hard full size SUV drivers. These are the people who have used one of these for twenty years and can't see themselves driving anything else. When I think about the vehicle as a whole though, you do get tons for your money. Even the price per pound is an insane value compared to say a BMW sedan or new Stingray. 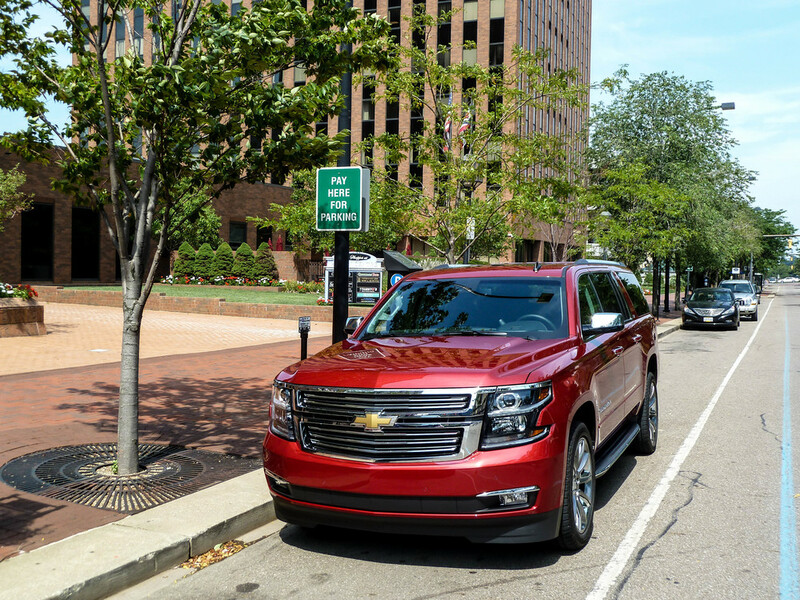 The Suburban is built for a purpose and Chevrolet knows there will always be a crowd that wants one. When you think back to how awful the full size SUVs of old used to be, this vehicle is a revolution. You never see old Suburbans driving around or the sold out Ford Expeditions of the early 2000s, they just don't seem to exist anymore because they have all rotted away or broken down beyond repair. With this generation Suburban though, I feel Chevrolet has something different on their hands. They have crossed over into that area of world class vehicles in yet another segment, this time the full size SUV. Before you ever sit in one of these, look up all the features on Chevrolet.com - What you will read sounds nothing like a Suburban from years past. The features on paper and the experience you get while riding or driving this turn out to be something totally different. For me, that was the best part. Like I said earlier, everything about the Suburban is big. After spending a week driving it though, I found the biggest thing to be how much of a surprise it was. Nice job Chevrolet, thanks for surprising me.